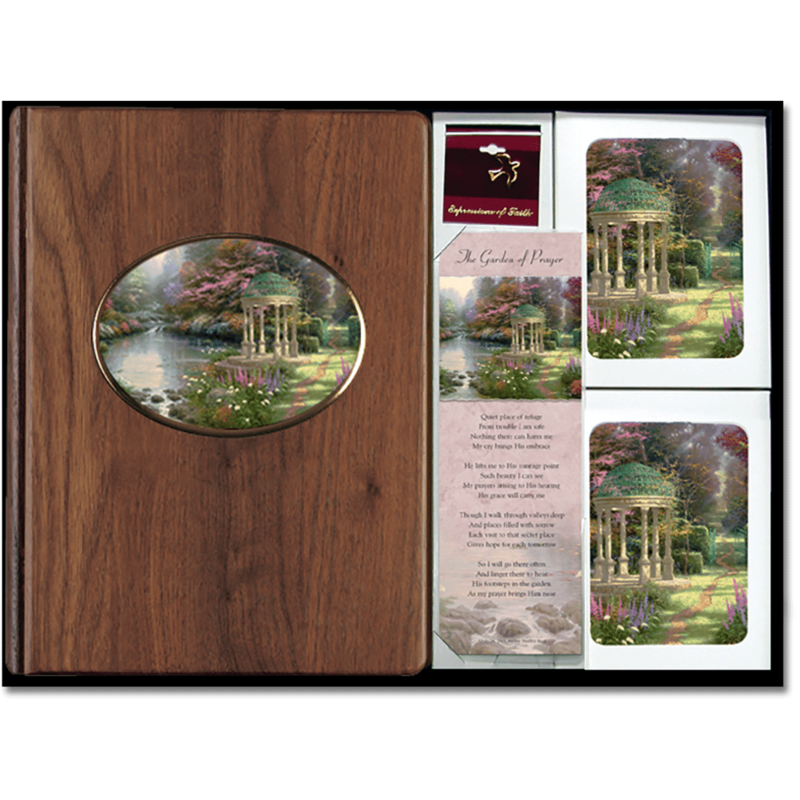 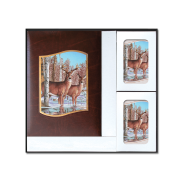 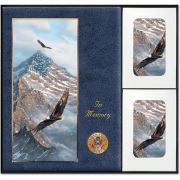 This high-end box set features an inlaid ceramic wood book with coordinated service stationery products, including large size (4.25” x 5.5”) acknowledgement cards. 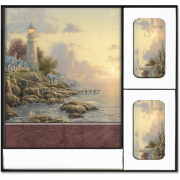 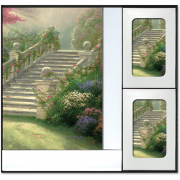 The ceramic tile is decorated with beautiful, full-color art and strikingly bordered with gold leaf. Our richly sculptured, gold foiled presentation box contains all the essential stationery items for a service.